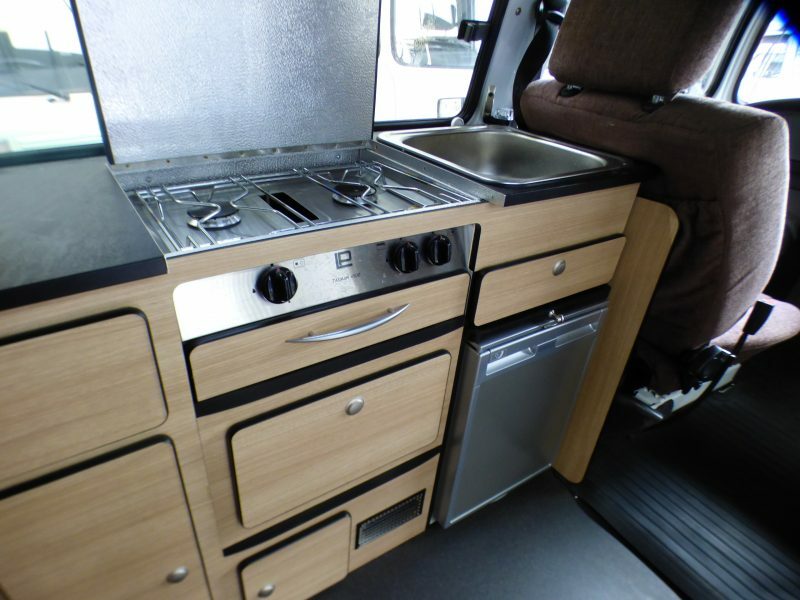 aircon, modern engine, 4 berth, right hand drive, very low miles, rear heater, oven, buddy seat, front heater, wooden steering wheel, fake front tire cover and towbar! 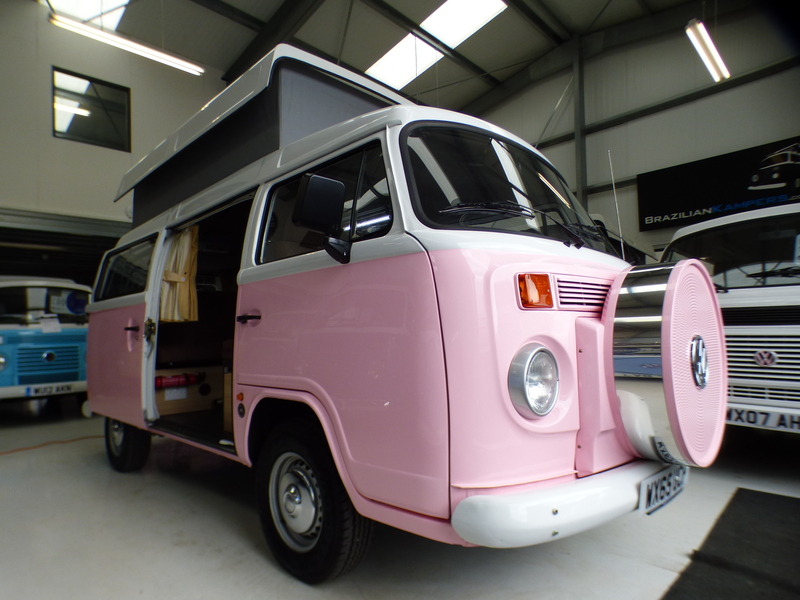 Stay cool and Pretty in Pink in this 2015 VW DANBURY RIO with super low miles and the very rare air conditioning option! 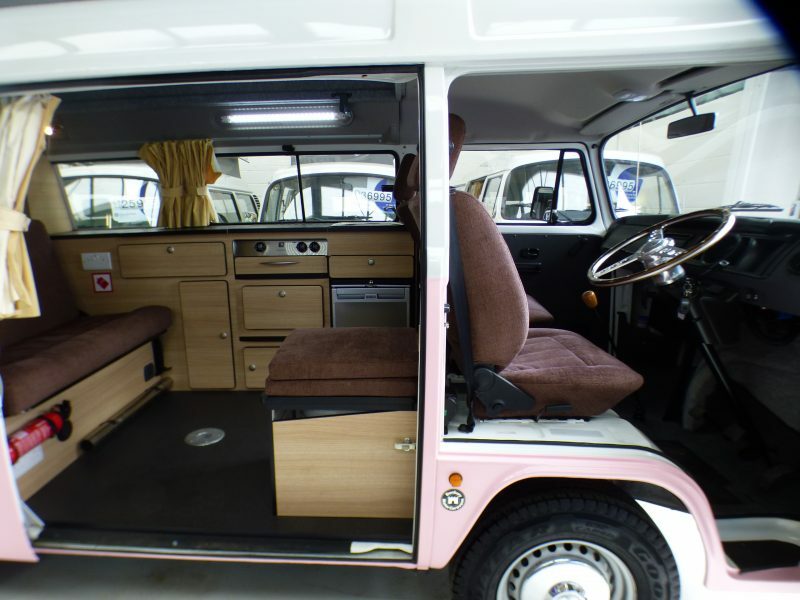 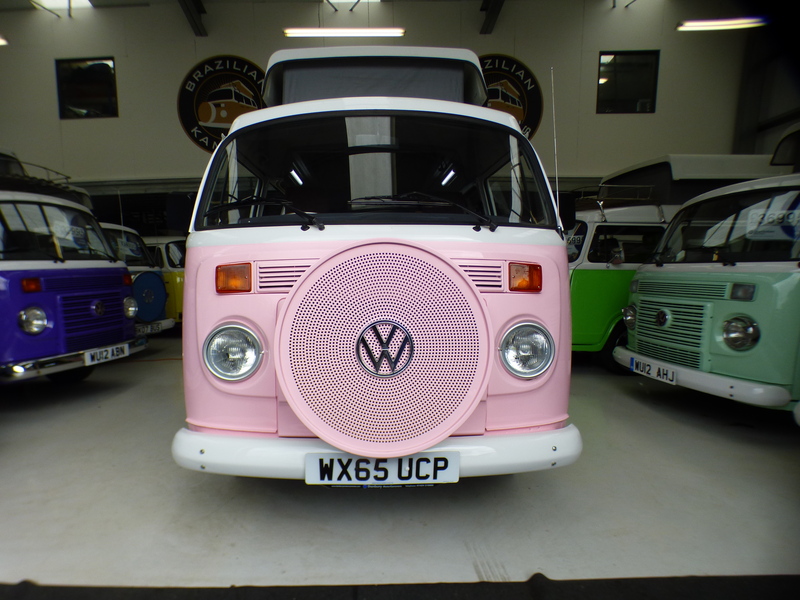 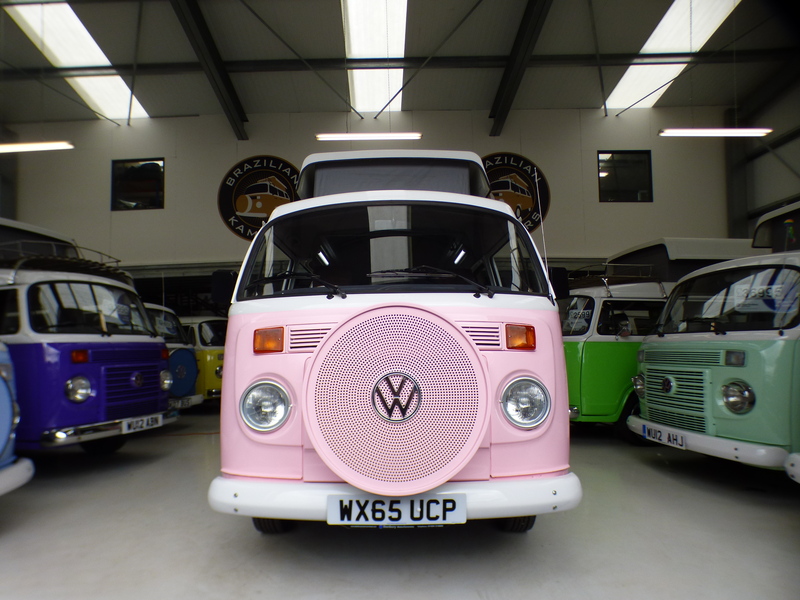 The list of treats goes on – colour coded dummy wheel cover, poptop, contrasting cloth interior, custom wooden steering wheel, rear cabin heater and a tow bar with bike carrier attachment! 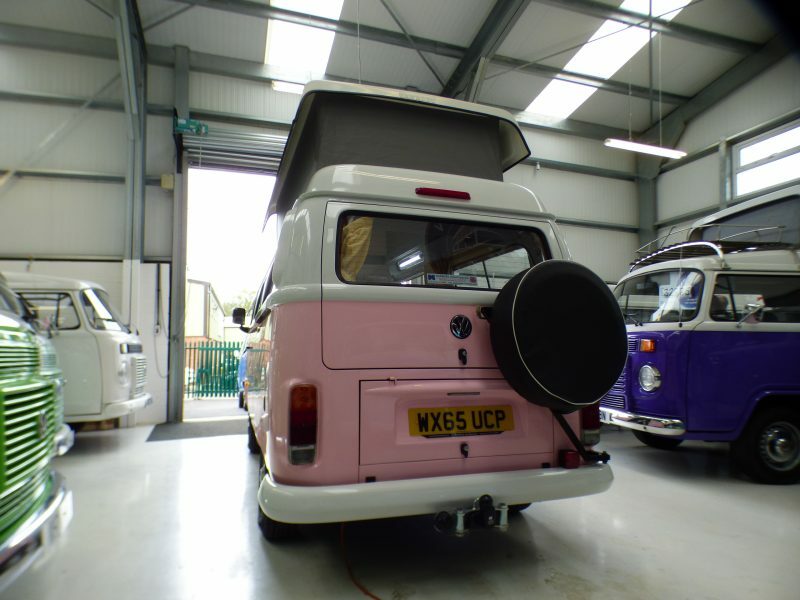 It’s right hand drive and benefits from working fresh air vents – until things hot up of course and you switch on the aircon!! 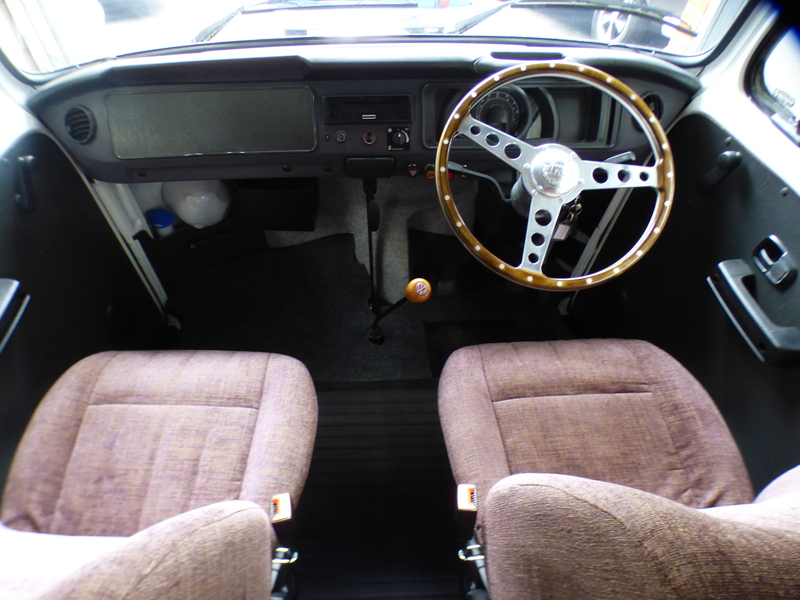 This Kombi carries 4 comfortably with 3 point seatbelts up front, 2 lap belts at the rear. 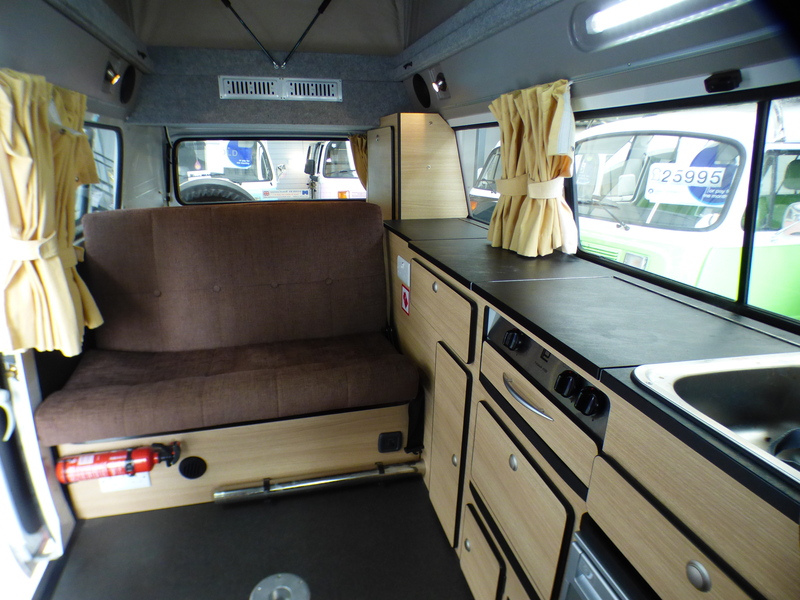 The buddy seat provides seating for 4 at the table within the camper. 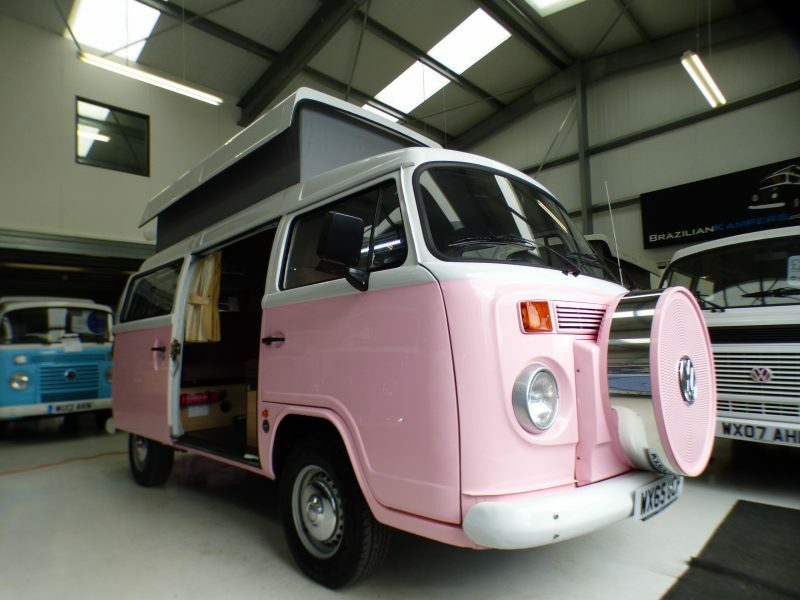 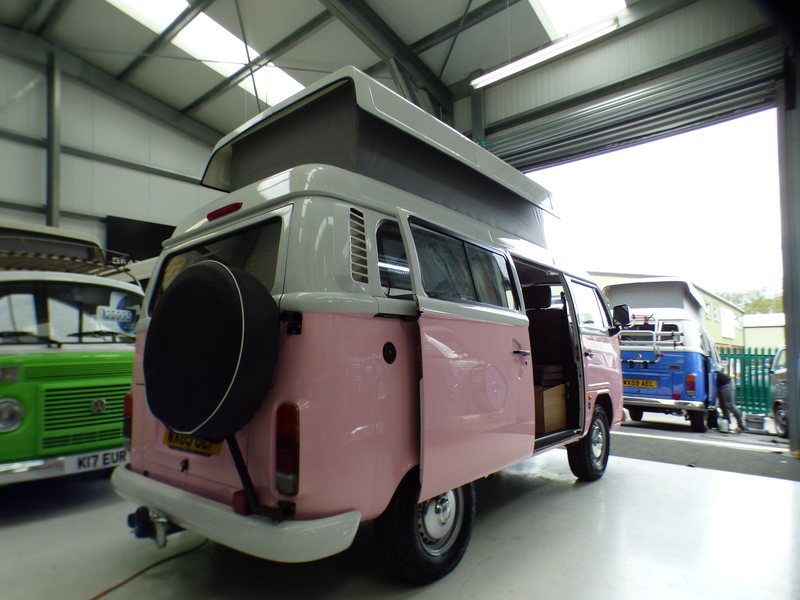 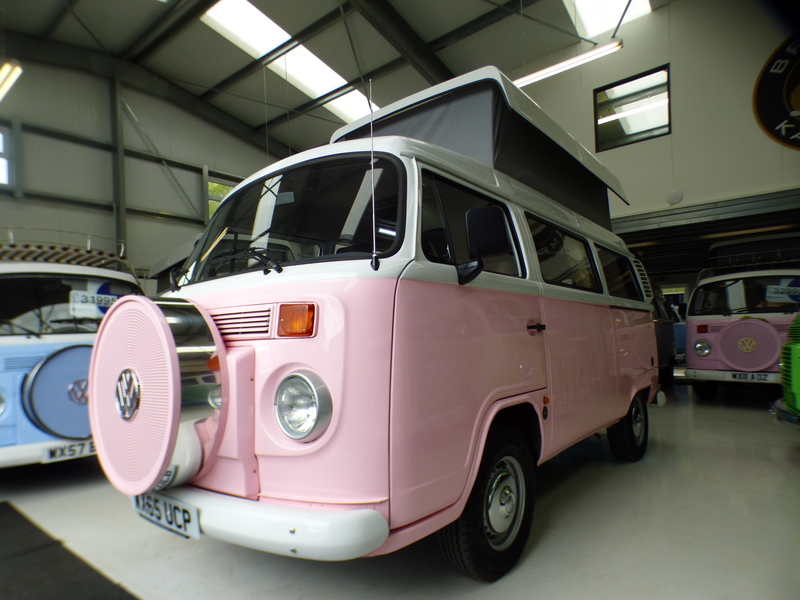 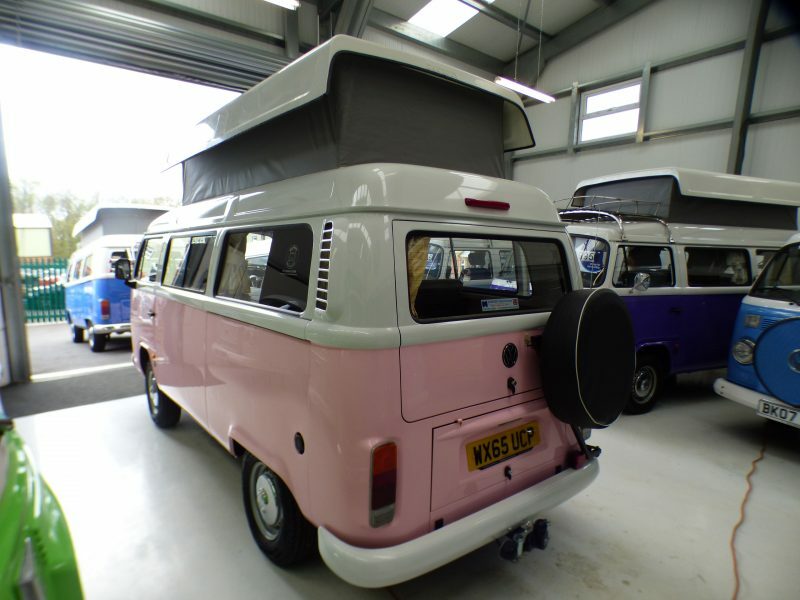 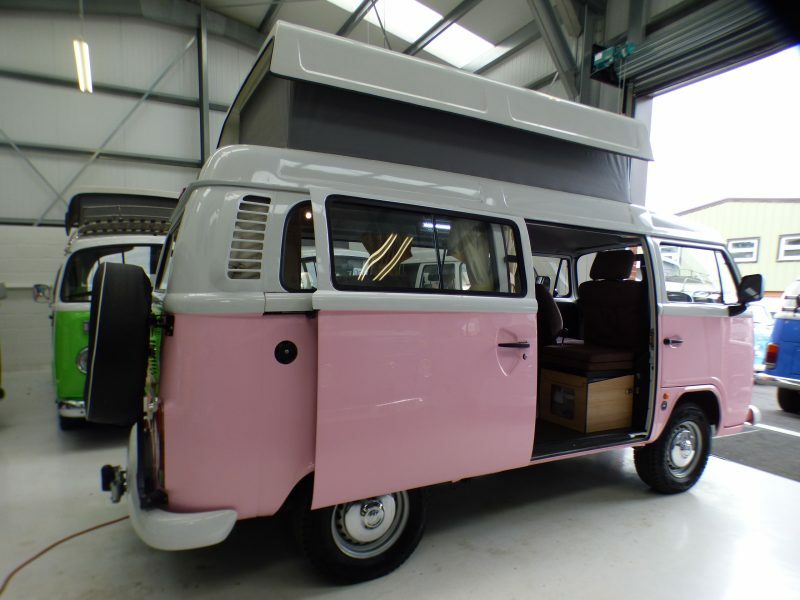 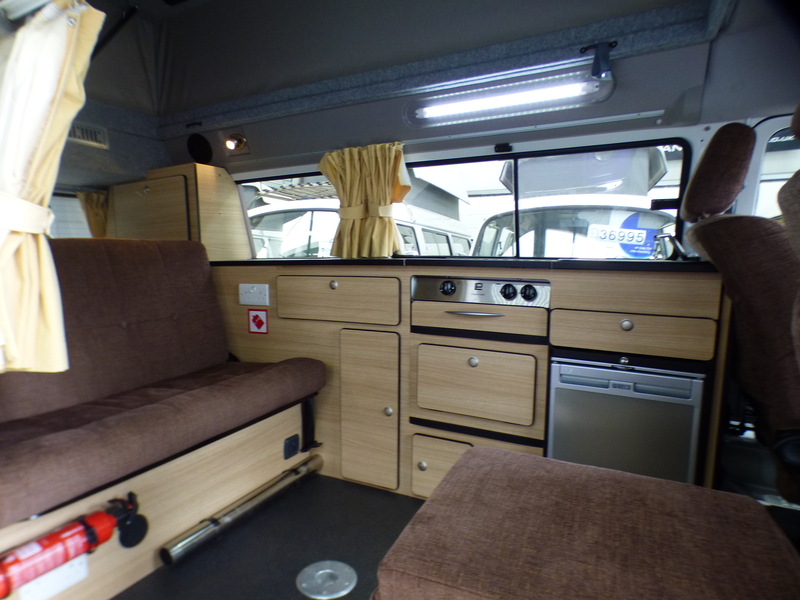 The camper has excellent storage options with full length units down the nearside including the rear cupboard, plus within the matching buddy seat and space under the folding 3/4 width bed. 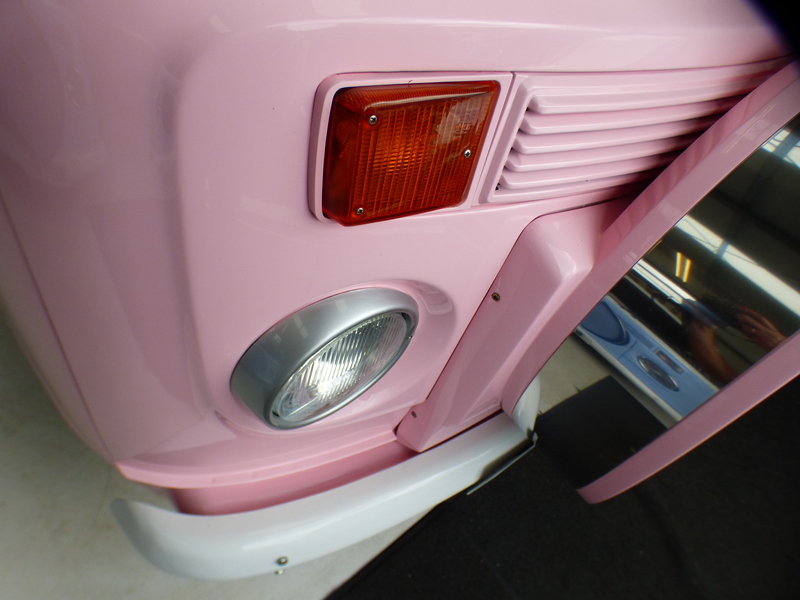 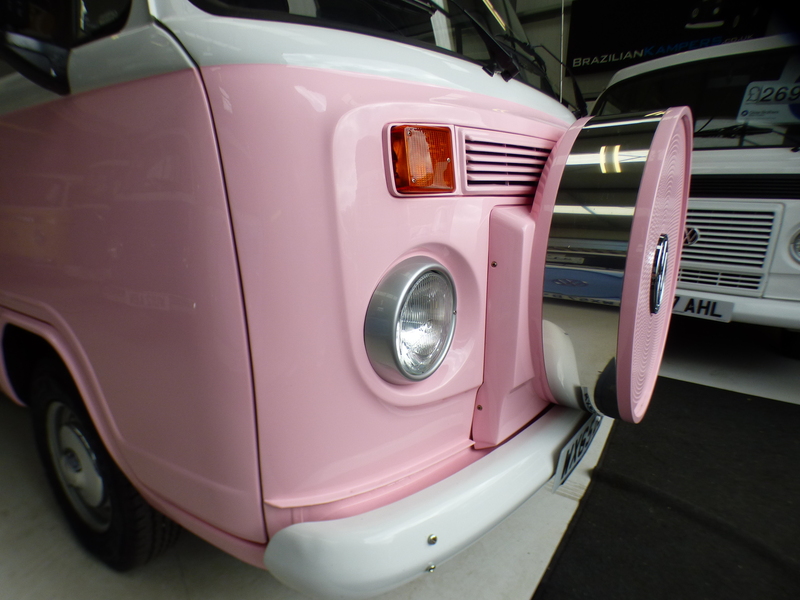 The spare wheel is located on the rear of the camper under a vinyl cover. 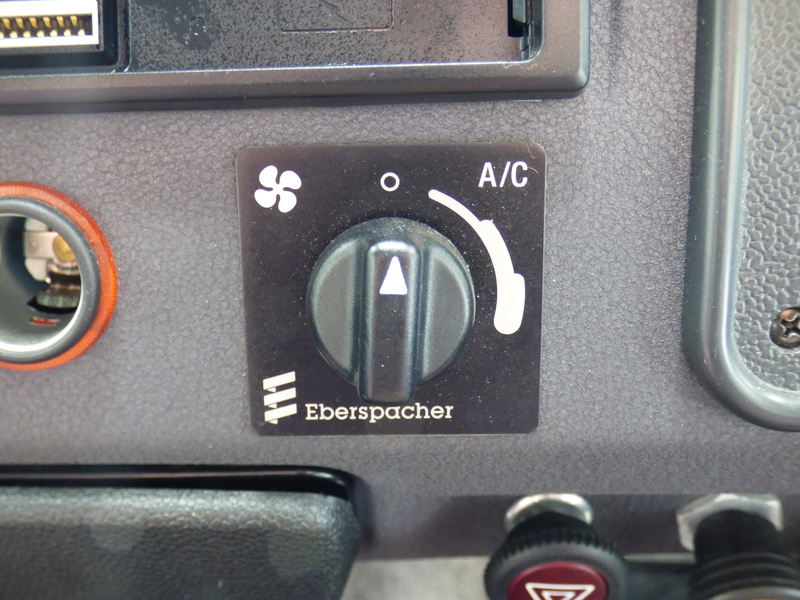 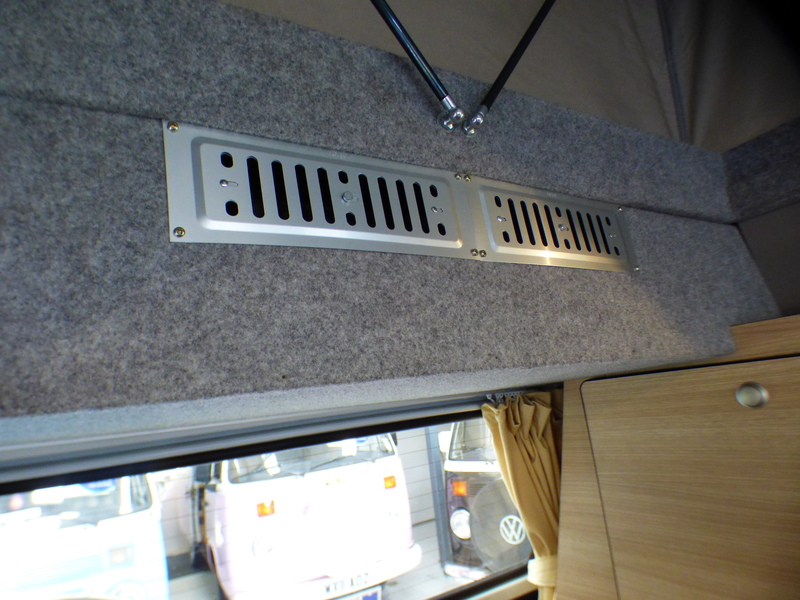 Thermostatically controlled rear cabin heater.